Following a horrifyingly high electricity / gas ‘corrected’ bill from our provider (who, it seems, heartily took the recently harsh winter into account when re-calculating people’s ‘average’ electricity consumption, and used this as the basis of the revised fixed monthly payment – meaning that we got a 110% increase to our monthly estimate), I’m on an energy-saving mission. Off goes the 6-8 hour a day PC use in our household. Out goes cooking every day. Out goes the heating switch, unless vital. Showers are being shortened. Appliances are being unplugged unless in use. Our cats are becoming readily-available sources of warmth (they seem rather startled but pleased at the sudden increase of permitted lap sittage). My boyfriend’s face is getting longer and longer as I come up with more energy saving ideas. I’m beginning to feel rather Victorian already. In keeping with this new approach to energy efficiency, I managed to have 5 different dishes going simultaneously in the oven last night. And I even used the residual heat once the oven was switched off to dry some old bread for use as breadcrumbs. To use up some cold potatoes, I, rather conveniently, found a recipe for ‘How to use cold potatoes’ in Household Management. 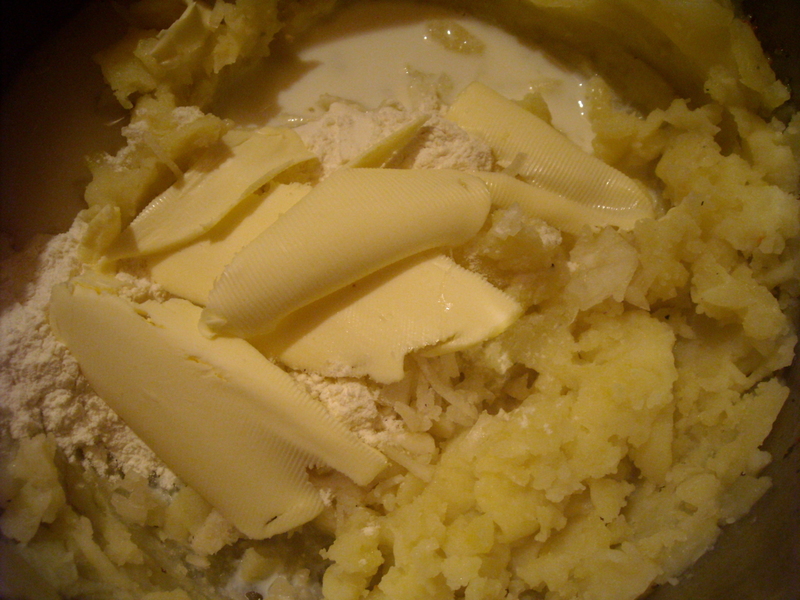 INGREDIENTS – The remains of cold potatoes; to every lb. 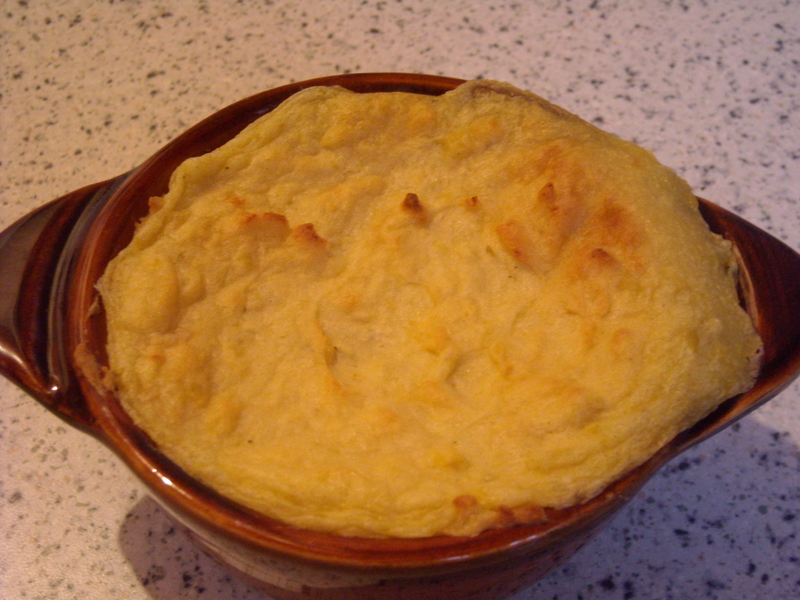 allow 2 tablespoonfuls of flour, 2 ditto of minced onions, 1 oz. of butter, milk. It’s a quick and simple recipe. Simply mash the potatoes, add the other ingredients, and pop the mix into some small pie moulds and slide them in the oven. In 25 minutes, little potato pies are ready for consumption. ”Bit bland, isn’t it though?” commented my ever-so-slightly disappointed boyfriend as he reached for the salt. True, I silently admitted. Although the recipe doesn’t call for it, a dash of salt and pepper in the mix before baking it is highly recommended, to make it more appealing. But, as far as economy and simplicity go, this recipe is absolutely perfect. Now, where are those cats…? This entry was posted on March 27, 2010 at 7:52 am and is filed under food, Lifestyle, Money. You can follow any responses to this entry through the RSS 2.0 feed. You can leave a response, or trackback from your own site.